And then I realized that I don’t have a long dress – I had to scour the Makati malls to find one on such short notice. I did find several nice ones but they were so expensive and I didn’t want to spend too much on a dress I will only wear once (I don’t foresee any event in the near future that would require me to wear a long dress) so where did I go? Yup, I went to that place where they got it all for me: SM! 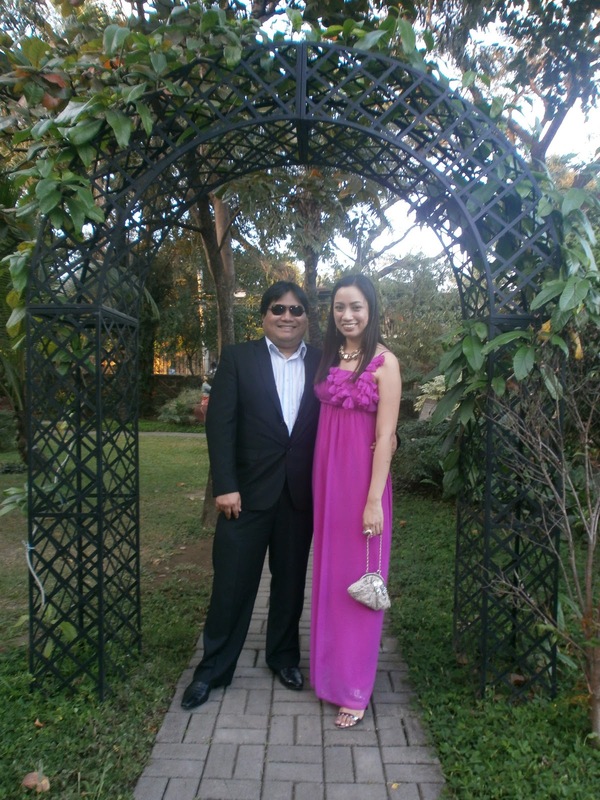 hubby and me; purple dress from SM. Ring, Aldo; necklace, earrings, Accessorize; shoes, Charles and Keith. Make up by me using Shiseido and Smashbox stuff. Can you believe my cocktail ring actually costs more than my dress? Talk about value for money! Hahaha! I wanted to wear a yellow dress but couldn’t find one in my size so I ended up with purple. Anyway, it turned out to be a good thing as the motif was yellow and I would have looked like a part of the entourage. On our way to the reception, I changed my mind about using gold-tone accessories and changed into silver ones to match my bag and shoes. I know it’s a little too matchy but I think the end result turned out okay. 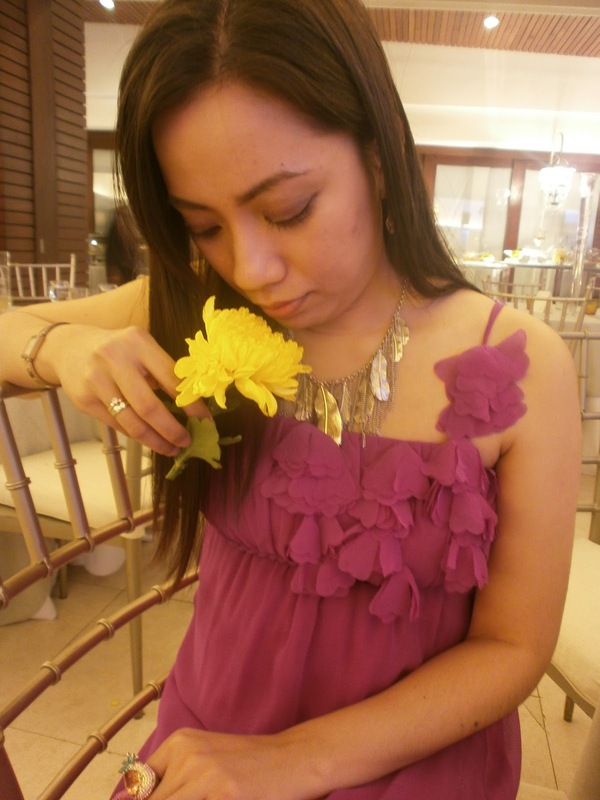 Trivia: One my biggest frustrations at our own wedding was not using yellow as our motif. Hubby had vehemently vetoed the idea – telling me our entourage would look like walking bananas, so I had to make do with rainbow hues. 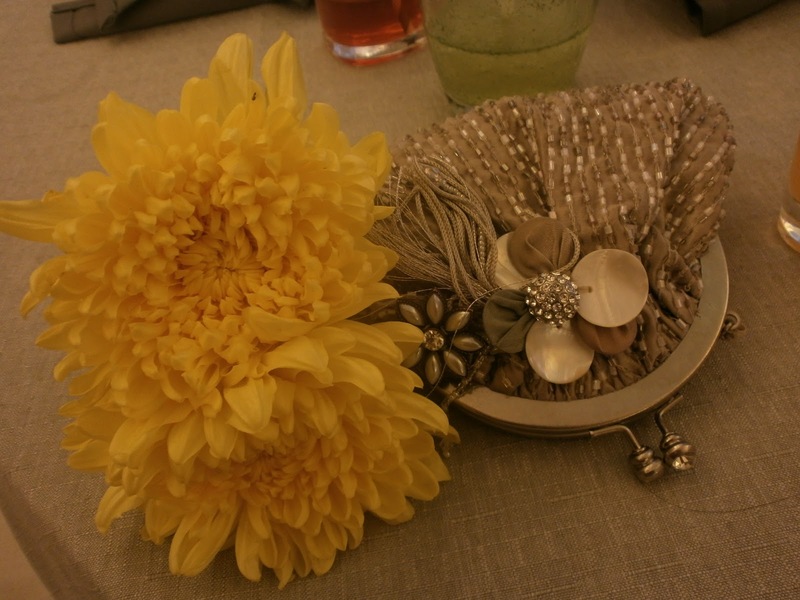 This is actually the first wedding I attended which had a yellow motif so I almost died of envy.